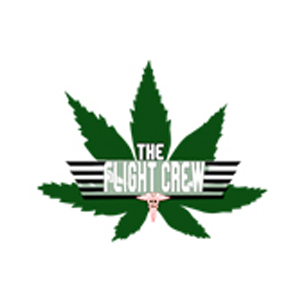 The Flight Crew (T.F.C. ), We are here to provide you with Quality Medicine as well as Top Notch Service. Each one of our members has over a decade of experience with an array of Medical Marijuana Strains & Growing tactics. We are specifically here to deliver your Prescription with Friendly, Informative, Efficient Service. Our patients are our Number 1 priority! This is the reason why we provide a variety of Medical Marijuana Strains periodically, so each & every patient will be able to select the choice medication that will suite there needs! ALL First Time Patients MUST provide your MASS I.D. Along with your MMJ License to the following email 420flightcrew@gmail.com or Send via text to 1-978-594-3348 , Each one of our patients will be logged into our system database upon arrival of your information. Then once your logged into our system you will either be able to set up an appointment or same day delivery if your in a 10 mile radius of our location. NO DELIVERY FEE for patients in the NORTH-SHORE AREA! We charge a 10$ Delivery Fee For anywhere outside of a 10 mile radius of Peabody, Ma. ALL other regions of Mass will require a delivery FEE ranging from 20-50$ DEPENDING Area. Our team provides After Hour Service, So anything after Closing hours will need to pay after hours delivery fee. Ask for more details. Also Any Delivery Out of North-Shore Area Must Provide us with 2-4 Hours Notice. Tips are optional but are most definitely appreciated for sure. $100 Minimum on ALL ORDERS. ALL first time Patients get a 10$ off first purchase & Free Gram of Choice strain for each referral.